Flying high, literally, on the “Seventh” cloud of happiness, The Nature’s Co. jubilates seven satiable years of stimulating natural beauty and wellness through the five purest forms of nature, TNC’s five distinct ranges – Atmospure (Air), Starrize (Sun), Foressence (Forest), Earthborne (Earth) and Aquaspark (Water), through their beautiful journey caring to inspire woman across the globe to believe and trust on the “all natural way” to gain skin confidence. 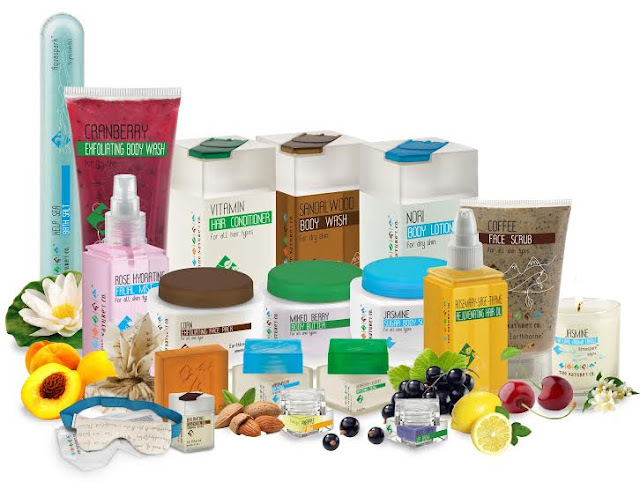 Since 21st February, 2009, The Nature’s Co. staunch belief in “nature is a way of life” has been meticulously immersing all in the goodness of nature with their natural, luxurious skin, hair and body care products. TNC, as the brand is lovingly called, never fails to impart a wholesome, holistic experience, making one discover some of Mother Nature’s finest creations. Turning seven this year, The Nature’s Co. celebrates this special time with special discounts for their shoppers across the varied and exotic range of body lotions, body butters, shampoos and creams, lip balms, bath salts, moisturizers, face wash, wellness products and much more. During this occasion of sheer glee, TNC’s renowned and skilled team shares a message, “The Nature’s Co. is inspired by how nature can positively affect human health and beauty, manifested in the form of an entire range of personal care products that are truly natural. These seven splendorous years, wouldn’t have been so naturally wonderful without the support, appreciation and infinite love we have been receiving from all our shoppers and fans. 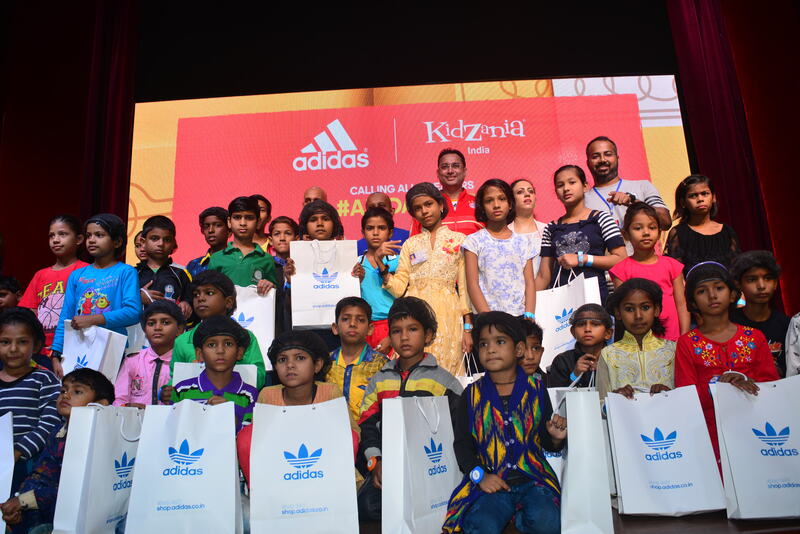 This love has made us delivering and striving for better every time. The entire TNC team is truly gratified.” As a small token to give back and spread some more love, TNC provides an exclusive offer of upto* Rs. 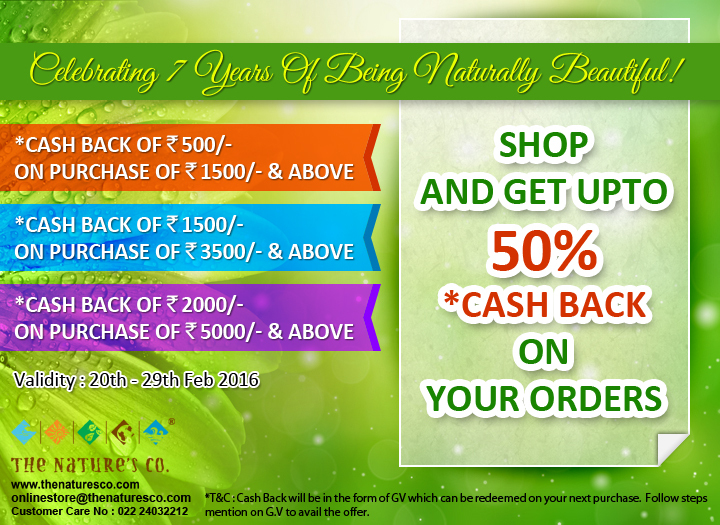 2000 CashBack on all* purchases made till 29th February. Live now on their website @ www.thenaturesco.com. Cash back of Rs. 500 on purchase of Rs. 1500 and above. Cash back of Rs. 1000 on purchase of Rs. 3500 and above. Cash back of Rs. 2000 on purchase of Rs. 5000 and above. Keeping up appearances at work isn’t as easy as it sounds. You might feel polished and fresh-faced at 8 a.m., but by noon you’ve lost your battle with the dry chill of that climate-controlled environment. 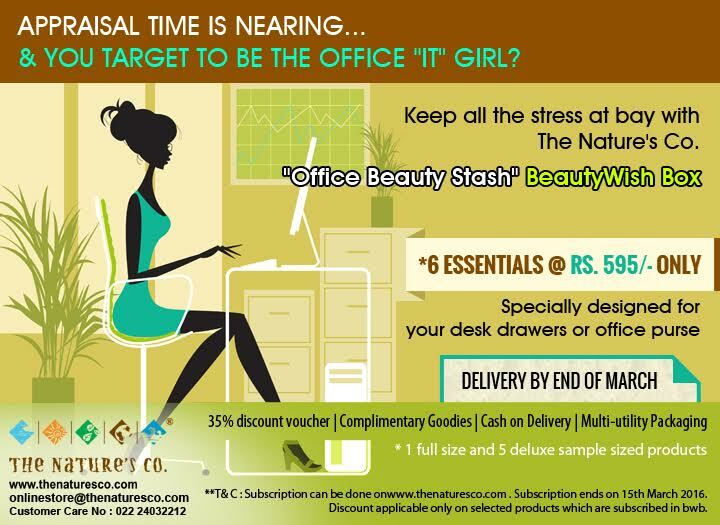 Any working girl knows the importance of the looking and feeling her best, especially in the office. Often a little freshening-up is needed midway through the day or heading into an important meeting. Whether you keep a stash of products in your desk drawer or in your purse, it’s essential to have some beauty basics at your disposal for unexpected post-work plans—heck, even just for mid-day touch-ups before an important meeting or business lunch, or getting ready for a post-work dinner date. After all, you spend tons of time there, and if there’s one place where you should be on top of your beauty game, it’s at the office. So no matter what your working day throws at you, your position as office ‘It’ girl can remain unchallenged with these essential tucked away with you always.